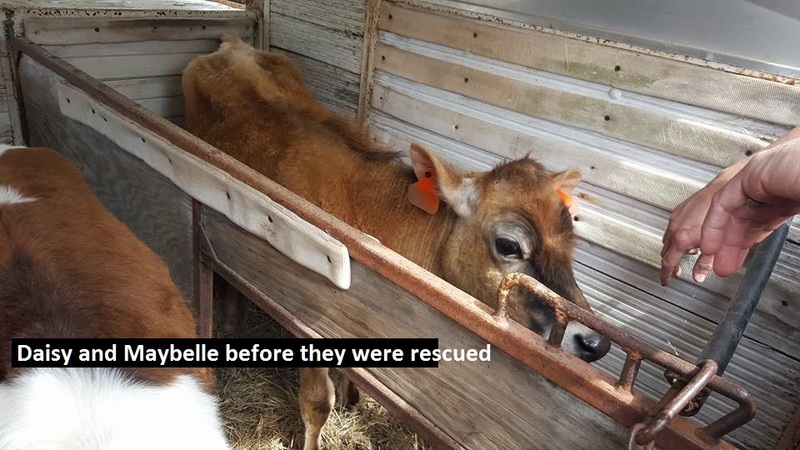 Daisy and Maybelle came to us from an animal abuse raid in early 2016. They were just babies then and captured our hearts. They are super-sweet and will live their lives with lots of love and care, which is what all of these magnificent animals deserve. They also have a big appetite! 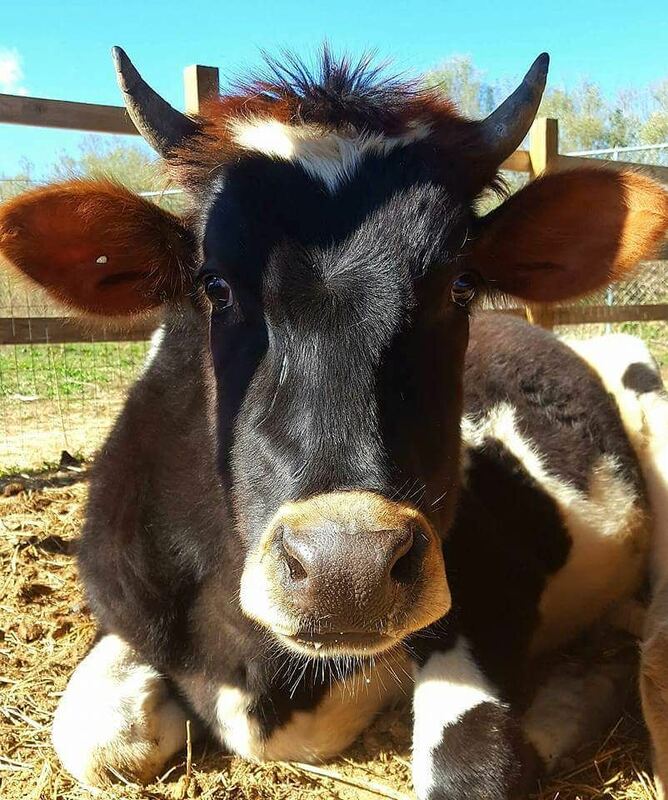 Please consider being a part of their lives in a special way, by sponsoring their care! You will also receive an "I Sponsored a Rescued Cow" sticker at the $10 per month level, and also a T-shirt at the $25 level. In April of 2016, Carolina Waterfowl Rescue was awarded their custody by the courts (along with 15 birds and several dogs) following a neglect case. They were living in horrifying conditions in Chesterfield County, S.C.: Read the news story here. Read the news story here. Read more here. Each was approximately 100 pounds underweight and being kept in a tiny 10x10 foot pen. 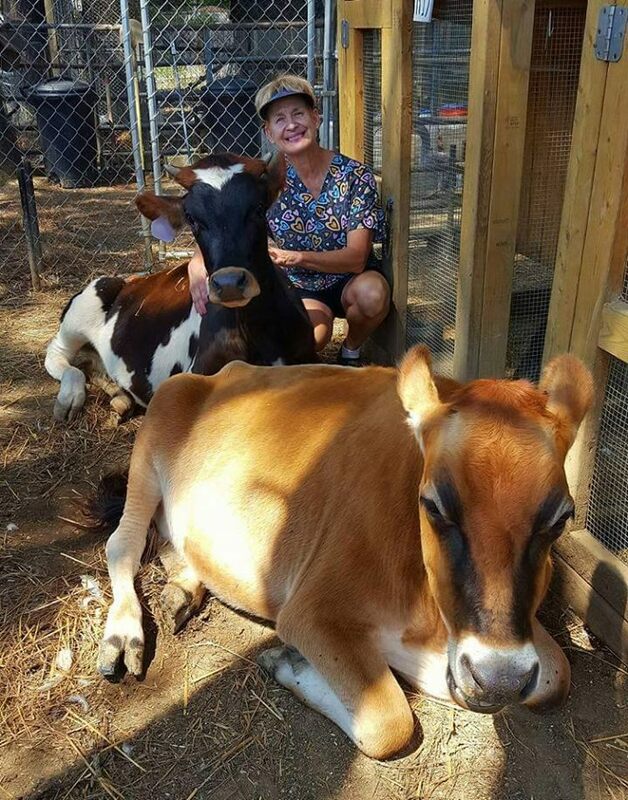 Jennifer Gordon, the rescue's director, went through many leaps and hurdles to bring the cows home two weeks later. Now, almost a year has gone by and they have grown to be beautiful, healthy and happy animals enjoying a large pasture and forest area with their three donkey friends. Volunteers visit them throughout the day petting them, giving them kisses and treats. We are committed to the best possible care for all of the animals at the rescue. When Daisy ingested a piece of trash that blew in from the road, she was diagnosed with a severe case of bloat. 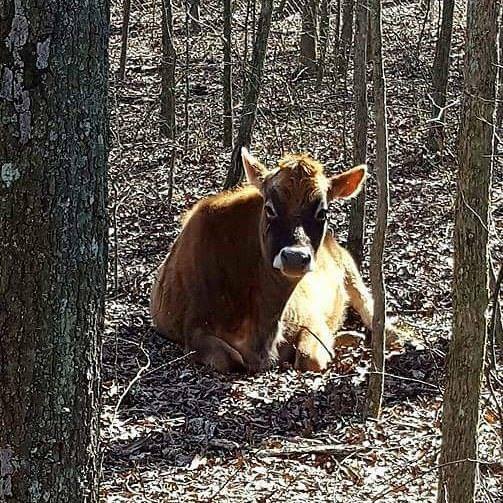 She had emergency surgery and volunteers stayed by her side around the clock, using hay and blankets to keep her comfortable. You can see more pictures and video of them here. CWR has a big heart for farm animals in need. Daisy and Maybelle are beloved members of the CWR family. Now we are offering a unique opportunity for individuals to partner together to sponsor their care, which is approximately $400/month for their feed and basic veterinary needs. I'm so excited to help support Daisy and Maybelle!